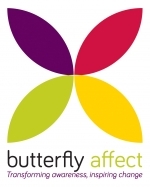 butterfly affect: Counselling, Communication, Community Inspire Change in Yourself and Others with butterfly affect. Improve your relationships by developing your emotional awareness. Why try Counselling & Psychotherapy? To use evidence-based communication skills to help individuals and organisations develop new perspectives, so that they may manifest positive change in their personal and professional communities. My contribution to improved community life is to work with individuals and groups to create a better understanding of themselves and others in fresh and positive ways. People are like butterflies. With the right support, we can transform our way of being in the world. Changes in our circumstances often begin when we change how we respond to what is happening to us. When we make changes to how we react, we often see differences in our external environment. These changes can have far-reaching, positive effects on ourselves and the people around us. I strive at all times for positive outcomes. Whether you are an individual seeking personal counselling or psychotherapy, a therapist or organisation seeking to promote your services, I will work collaboratively with you to achieve your goals. The butterfly has a place in belief systems all around the world. Amongst other things, it is universally seen as a symbol of hope, transformation and new beginnings. ‘Affect’ is sometimes confused with ‘effect’, which commonly means ‘the consequences of change’. ‘Affect’ refers to ‘making a difference’. In other words, the resulting impact of action. Affect is also a psychological term referring to the basic emotions of surprise, happiness, anger, sadness, fear, disgust and shame. These are the basic drivers of our communication with each other, and provide clues to the state of our mental health. Transforming the way we respond to others can have a positive impact on us individually, making a difference (creating a butterfly affect) to our relationships, our environment and how we feel about ourselves. butterfly affect‘s three pillars — counselling and psychotherapy, community education and communication — co-exist to assist you in leading positive change in your environment. Whatever that might mean for you. 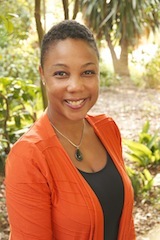 I am passionate about helping others make positive changes to their lives. I would be honoured to be part of your personal – or your organisation’s – journey.